Home » Magazine » Books » A Pratfall, Mr Kalmadi? Mani Shankar Aiyar	October 04, 2010 00:00 IST A Pratfall, Mr Kalmadi? I doubt though that Kalmadi’s sense of humour will extend to Majumdar and Mehta’s blazing expose of what a humongous mess these Commonwealth Games have been. Boria Majumdar, a Rhodes scholar and senior research fellow at both a British and an Australian university, and Nalin Mehta, an honorary fellow at the University of Singapore, both sports buffs with solid backgrounds in their chosen area of specialisation—international sporting events—have produced a thorough, well-researched, sober and absorbingly well-written indictment of Everything You wanted to Know about CWG but were Afraid to Ask, the sub-title I myself would have chosen for this gem of an insight into all the pretensions, hypocrisies, distortions and vulgarisation of national values that have gone into the making of this circus. If the aim of the Games was to project the true India of the 21st century on the global stage, Kalmadi’s Organising Committee have certainly fulfilled the objective: for if the world had any doubts, now it knows for certain that we remain the India of jugaad, “that wonderful yet utterly untranslatable word that roughly means a propensity to improvise”. Yet, with money aplenty—and I suspect because money is aplenty—the delays have been staggering. Table 2.4 sets out the delays (as of May 2009, more than a year ago, and based on cag findings) ranging from eight months for test event strategy to 39 months for the OC’s General Organisation Plan to 54 months for the key, critical OC Master Plan, eventually submitted seven months after I was booted out of Shastri Bhavan. And, yet, Kalmadi thinks I am to blame. O tempora, o mores! With actual expenditure running at “114 times the original calculation made in 2002”, contrasting with Melbourne’s total spending on the last Commonwealth Games, 2006, having run “just 0.6 per cent above its estimate”, these Games are certainly going to be the most expensive ever, if not the “best ever” as Kalmadi, with amazing chutzpah, continues to claim. 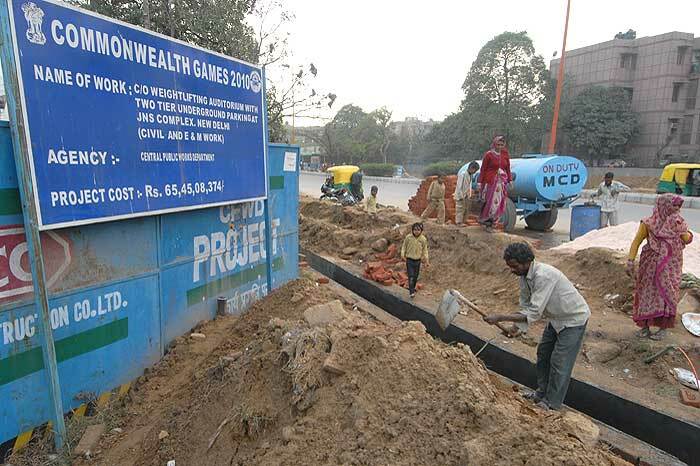 “The Government of India signed a blank cheque based on shoddy budget estimates made by amateurs who did not seem to know what they were doing.” No, that’s not me as sports minister pleading for good sense in the CWG GoM (although that is exactly what I was doing); it’s Majumdar and Mehta, p 16.